After twenty years of struggle and set-backs, Shawna has fought to leave a life of pain, tragedy, and homelessness. It was a long tearful embrace. Two women celebrating a moment that history suggested was impossible. Twenty years of struggle rolling down their cheeks accented by whispers of joyful praise. Shawna made it. Tricia relished it. 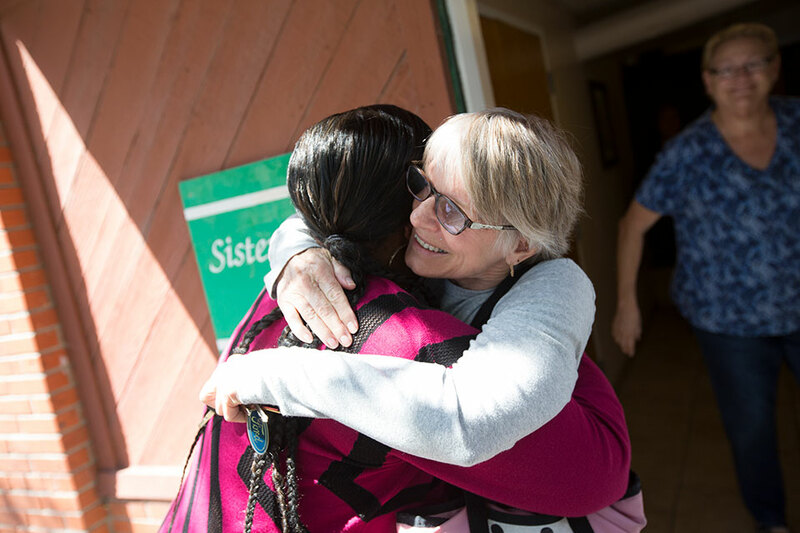 When they first met at Sister Nora’s Place three years prior, decades of set-backs loomed large as Shawna once again fought to leave a life of pain, tragedy, and homelessness. One more try. A native of Sacramento, Shawna struggled from an early age. She had an undiagnosed learning disability. She had an undiagnosed mental health condition. She moved around Sacramento a lot, never setting down roots. Children regularly teased her about her appearance. When her parents divorced at the age of eight, her mother moved to Oakland, separating her from her father. She was angry and confused in a new town that didn’t welcome her. She got in a lot of fights. When she returned to Sacramento in the seventh grade, she embraced church, but it wasn’t enough. She loved herself but she didn’t think the world shared the same opinion. Shawna had her first of six babies at the age of 15. By 21 she was dating a gang member and involved in all manner of criminal behavior. She lived in a place referred to on the street as “Danger Island.” Her gang member boyfriend was murdered in her apartment while she was pregnant. She had his baby in jail. She was diagnosed with bi-poloar disorder. Upon release Shawna was referred to Guest House Homeless Clinic and the Loaves and Fishes Genesis program for mental health treatment. It was her first introduction to the Homeless Continuum of Care, but not her last. Her struggle continued for twenty years as she filtered in and out of programs, in and out of housing, never finding stability. But, her course finally changed when she moved into Sister Nora’s Place and met Tricia, the Program Manager. Shawna lived at Sister Nora’s for nearly a year, despite how far it was outside her comfort zone. Her tolerance of different personalities evolved into a respect for the beautiful people with whom she resided. She received treatment. She did chores. She got her GED. She enrolled in community college to become a hair stylist. Her children watched her graduate. 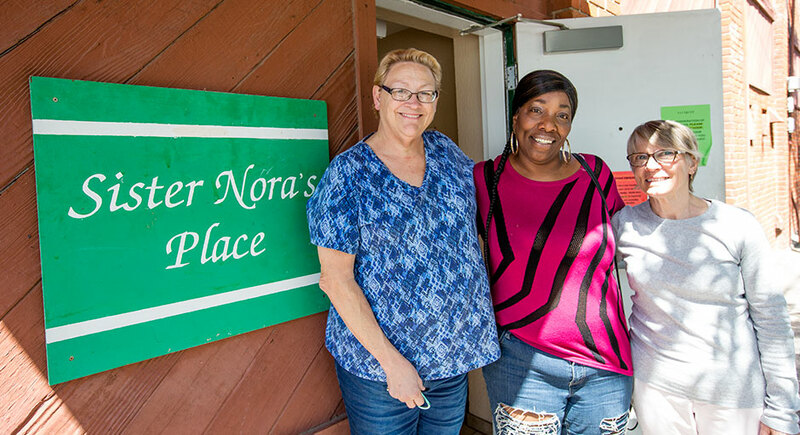 After working with Homeless Outreach Navigators from Sacramento Steps Forward, Shawna was referred into a Permanent Supportive Housing program run by Lutheran Social Services that would provide her with housing and supportive services. It changed her life. Two years later, she is still housed. She is on the Resident Council and is part of the Peer Support Network. Through her church, she ministers to people who still live on the street. She doesn’t do drugs. She budgets her money. She paints and is taking up the violin. She babysits her grandchildren. Her family celebrated Christmas at her house last year. Her youngest daughter bought her a television. It was a long tearful embrace.